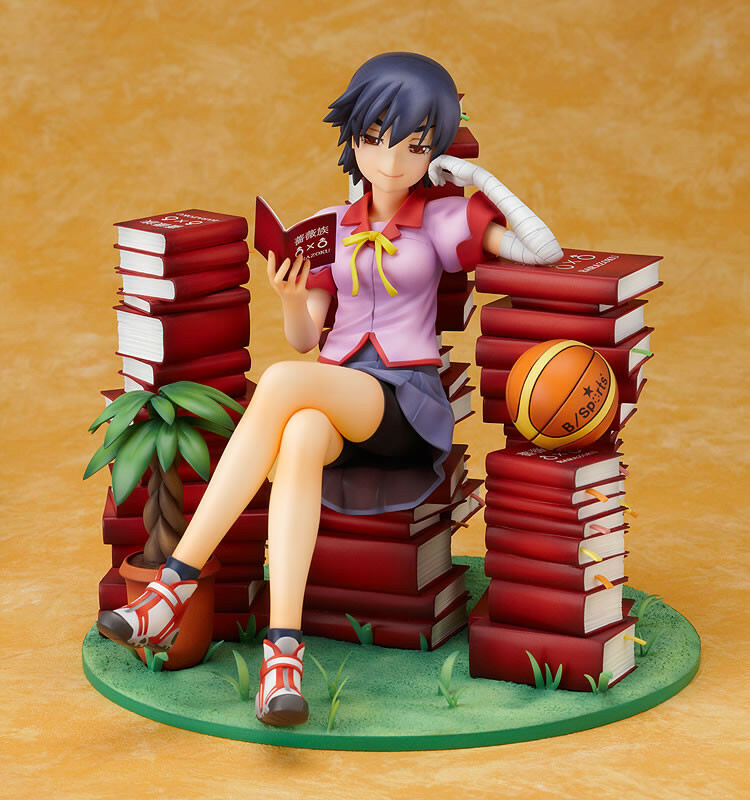 From the popular anime 'Bakemonogatari' comes a 1/8th scale figure of Suruga Kanbaru, following on from the previous two figures from the same series - Hitagi Senjyogahara and Nadeko Sengoku. 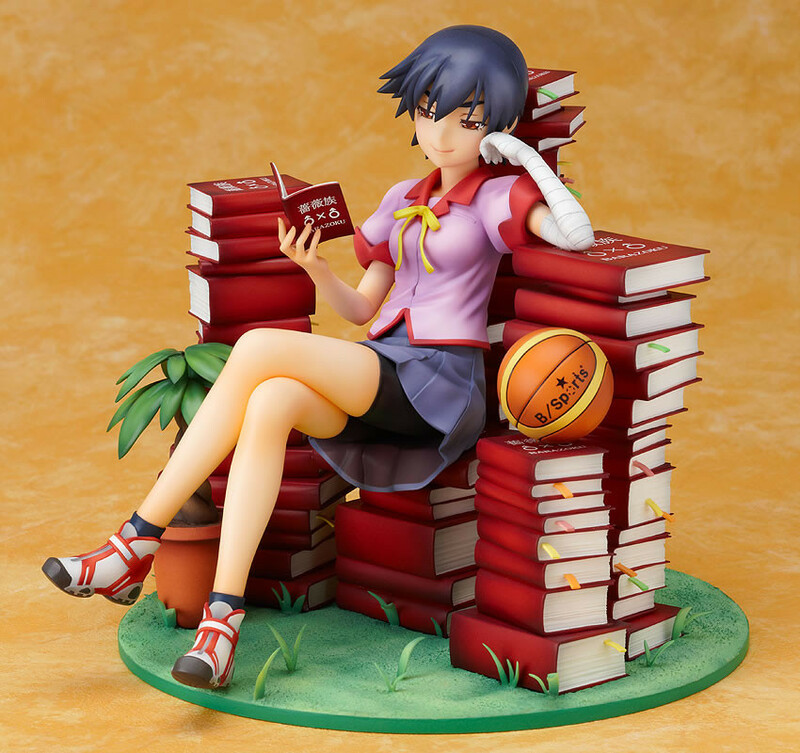 The pose for the figure is based on the 3rd volume Blu-ray & DVD jacket cover of the series. 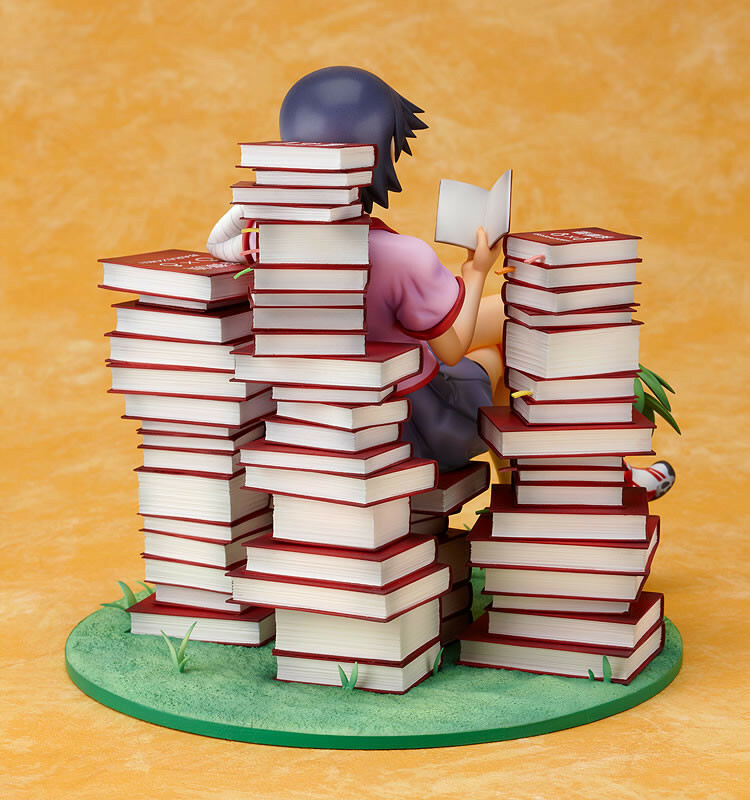 Kanbaru is posed sitting relaxed on a large pile of books, with many more books all around her. She is busy reading one of the books, and seems to be absolutely entranced by it. 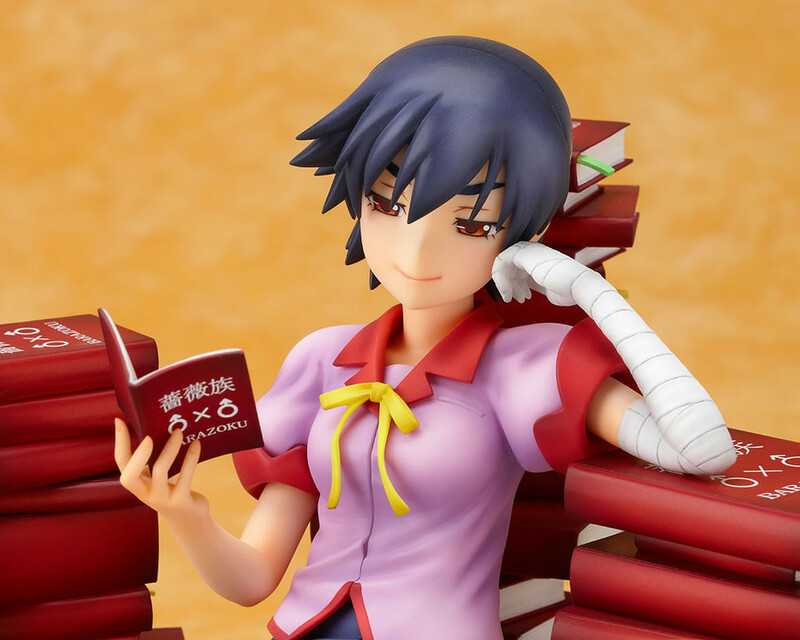 At first it might seem like a very elegant pose, but if you take a closer look you'll notice that the book she's reading isn't something all that elegant. Painted PVC 1/8th scale PVC figure. Approximately 150mm in height.